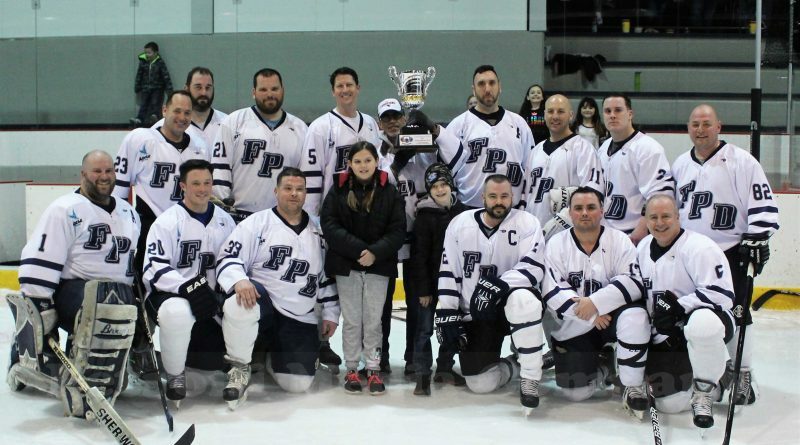 FRAMINGHAM – The Framingham Police Department skated to victory at Loring Arena Saturday afternoon in the 10th Annual Battle of the Badge hockey game between the police and Framingham Fire Department. The police scored three quick goals in the first period to take the lead, and never relinquished it. 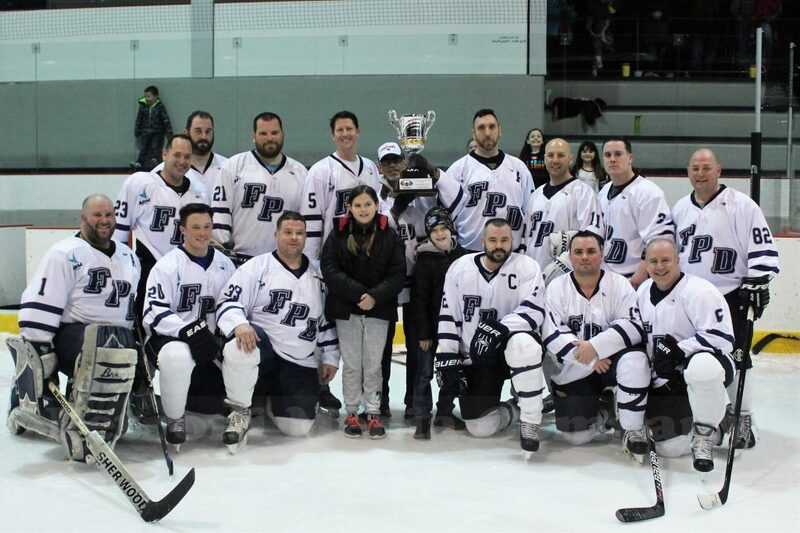 The game was dedicated to Framingham Police Officer Val Krishtal, a 20-year veteran of the department, who has been battling cancer since last summer. Officer Krishtal is shown in the photo hoisting the trophy, with his children, and the winning team. SOURCE will have more photos later this weekend.